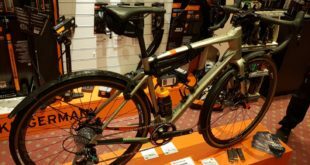 BikeBiz’s galleries from both Core Bike and neighbouring The Bike Place trade shows are now online. 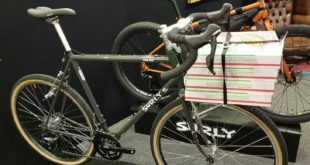 Ison gave dealers first looks at the Sarma fat bike label, Apidura luggage, Gloworm lights and HT Components, all of which are new to the distributor’s stocks. One of the bigger changes in distribution is the Merckx label, no longer with i-ride, now finding a home with 2pure who have brought the brand in to replace the outgoing Neil Pryde line. Buffera has drastically expanded its catalogue with the addition of helmet liner and knitted products. Marzochhi has joined those offering a dropper post product, available as both an external and internally routed post, at £230 and £259, respectively. 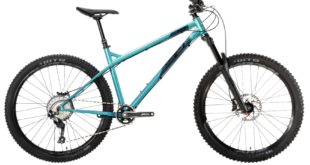 And the last little snippet before we get to work on a more in depth write up; the wheel size debate is set to rumble on with the introduction of a 27.5 plus tyre size. The idea is to meet the fatbike market halfway, allowing those who own a 29er to fit a wider 27.5 rim that’ll seat a much bigger tyre. Fad, or here to stay, we’ll let you decide, but one thing’s for sure; there’ll be plenty more of these kicking about come Eurobike.